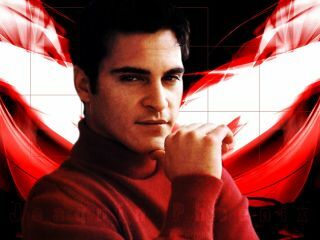 Songs said to be "brilliant"
Actor Joaquin Phoenix is recording an album of "brilliant" songs. But according to Charlatans frontman Tim Burgess, who, along with the band's manager Alan McGee, has been working with the actor, Phoenix's perfectionism is ruining any chances that the public will ever hear the music. Burgess reports that Phoenix was inspired to write songs after learning to play guitar for the Johnny Cash biopic Walk the Line, of which he was the star. "Once [Joaquin] learned guitar, he found that he had quite a lot of demons inside himself that he wanted to expel through music," Burgess says. "All the tracks that me and Alan worked with him on were brilliant, but I think he just keeps scrapping everything or redoing everything. I'm sad to say that I think it's one of those records that may never come out, to be honest with you. It's an ongoing thing. I'm trying to get Alan to force him to put it out at the moment, but I don't know whether it will [get released]." So don't Walk The Line down to that record store just yet. This might take a while.